Take A Lichen To Healthy Relationships. One way of shaping perspective in our lives is by reflecting upon the health of our personal relationships. Great spiritual teachers have always used the natural world as classroom examples of life. Jesus would do this often with his disciples with comments such as, “…Observe how the lilies of the field grow; they neither toil nor do they spin.” (Matt 6:28). If we look closely, the relationships that occur in nature have a multitude of lessons to teach us about ourselves, our relationships with other people and to God. In the Rocky Mountains of Montana where I live, the rocks and trees are covered with a mossy-looking growth known as lichen. This fuzzy stuff appears everywhere in beautiful hues of greenish-grays, yellows and browns. 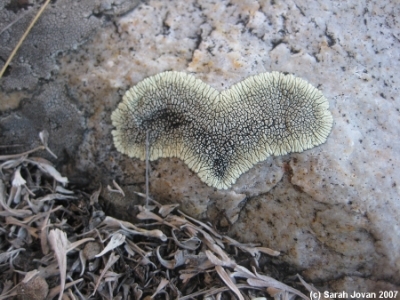 What is amazing about lichen is that it is a visible manifestation of a complex organism that is the result of a symbiotic relationship between fungus and algae—it is the living together of two different organisms in a mutual way that benefits both. In biological terms, symbiosis is an inter-dependent relationship where both receive reinforcement, which can be beneficial or detrimental. In reality, we all have both healthy and unhealthy symbiotic relationships. The love between a mother and her child, or a healthy marriage where both people are honored and have room to grow are examples of beneficial symbiosis. A co-dependent relationship between an alcoholic and their enabler is an example of one that is detrimental. Their attraction is based upon an unconscious set of rules where both people know the steps to the addictive dance and yet both are oblivious to the fact that they are dancing toward the edge of a cliff. If our lichen were people, it would be as if Freddie Fungi and Alice Algae took a-lichen to each other and now their relationship is on the rocks (ha ha). The key to developing insight and understanding about healthy relationships and how symbiosis operates in our lives is in observing how you feel and act around different people. If you still can’t perceive your own symbiotic patterns and are feeling complacent about your personal growth, go spend a week at home visiting your parents and siblings. It is amazing what opportunities for growth might emerge. The quality of our relationships with other people is a critical barometer of our personal well-being. Our relationships have profound impacts upon our perceptions. Who we are at the core of our being is who we are in relationship to other people. When we take time to assess who we are in our most intimate relationships we begin to transform ourselves at a very deep level. We create the opportunity for being conscious and have choices about who we are when we are with different people. Conduct a symbiosis diagnosis of your personal relationships and take a-lichen to healthier relationships in your life. 1. Take time today to notice relationships in nature. For example, on your way from your front door to your car you could pause and look around you. You might notice how a flower is growing in the shade of a tree. Just look for the relationships of natural things around you. 2. How does your focus on nature’s relationships act like a mirror by beginning to shine light on your own relationships. 3. Take time to think about your most important relationships. Identify areas in these relationships where you go on auto-pilot and react in an unhealthy way. 4. Think back on the quality of relationships in your life. What are some of your positive and negative patterns? 5. What do you lose when you are in an unhealthy dependency with another person? What do you gain? 6. How does focusing on your most important relationships bring attention to your perceptions of yourself?